Here is the section on online casino bonuses that lists the offers given by our Accredited Casinos. 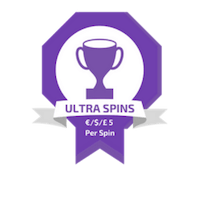 No deposit bonuses, welcome bonuses (AKA sign up bonuses [SUBs], exclusive bonuses, reload bonuses, free spin bonuses, and loyalty programs. The most important thing to realize here is that you must read and understand the terms and conditions of every bonus you accept. Online casino bonuses can be a lot of fun, and they can also turn into your worst nightmare. Bonuses have been around since the very early days of online gaming – in fact, it was considered free money – the casino would give you ten dollars, and you could do what you wanted to do with it. Play it – or cash it out. There were no wagering requirements, this was truly free money. Well it ain’t free no more. There are several types of bonuses: there are sign up bonuses, no deposit bonuses, free spins, reload or loyalty bonuses. Each one of these comes with terms and conditions that you must read fully and agree to. It may seem like a hassle, but you don’t want to be that player who after winning 30,000 Euros, found out he had breached the terms. Bonuses are not obligatory – you do not have to accept them. You don’t have to play with them. If you do, realize that there are a number of strings attached and that it is your responsibility to abide by them. Here at Casinomeister, we are listing the bonuses from our accredited casinos. Feel free to peruse them and perhaps even use them. We also have an amazing player community that can answer questions about whatever bonus you might decide to pick. Ask, and you shall receive. So that’s pretty much all I have to say about this at the moment, for more information check out Casinomeister.com, to understand how we choose the casinos that are listed on our site – stay tuned, that video is coming right up. Until then, Adios and be cool. The online casino bonus is awarded to new online casino players for registering an account and for them to try out games without too much of a risk. When the industry was still young and with far fewer players, the online casino bonuses were actually more generous than they are today. The idea was that a player would deposit some money and then receive an amount equal to, or sometimes greater than, the amount initially deposited. This principle stayed the same, but the rules have changed, because players soon realised that online casino bonuses opted a very good chance of walking away with a profit. However, as the industry expanded, more online casinos entered the market and as the presence of the industry increased, so did the number of online casino players. This lead to greater opportunities for the players to hop from online casino to online casino, taking casinos’ bonuses and leaving with a profit. A situation which meant that the online casinos could no longer sustain the bonus concept on their current terms. Today, players are required to wager a certain amount of bets (known as the wagering requirement) before they are able to cashout winnings made from an online casino bonus. For example, if a player deposits €100 and receives another €100 online casino bonus with a wagering requirement of 5x (5 times the total of the deposit and online casino bonus), the total of €1,000 or more bets is required before cashout. Important to know is that there are two different categories of online casino bonuses: The No-deposit Bonus and the Deposit Bonus. These two online casino bonus categories come in a variety of bonus types. To understand what the online casino bonus requires and to figure out whether it’s worth claiming or not, you should always carefully read through the T&C’s of the casino bonus. These are often located elsewhere on the casino’s website and cannot be found within the regular T&C’s of the online casino. The Deposit Bonus is the most common category of online casino bonuses and offers the playerlayer a percentage match on the first deposit into the player account made into the player account. The Deposit Bonus is normally a Deposit Bonus will be 100%, but it could be anything between 50% and 300% is common and will be offered by online casinos. The Deposit Bonus category comes in many different shapes and forms. Here you can read all about the most known types of Deposit Bonuses. The most common bonus of all online casino bonuses is the Welcome Bonus. This type of bonus comes in different shapes though, since not all online casinos actually call it a Welcome Bonus. Some will also refer to it as their ‘Signup Bonus’ or ‘New Player Bonus’. When an online casino offers a Welcome Bonus, it could be anything from a 10% to a 500% bonus. However, Welcome Bonuses are always a ‘percentage match’ bonus. Meaning that if an online casino offers a 50% Welcome Bonus and the player deposits €20, the casino will give 50%, so €10. If the Welcome Bonus is 300% and the deposit is €20, the player gets €60. A Match Bonus, as the name already implies, will match the deposit with a certain percentage of the total deposit. For example: A casino offers a 100% match bonus, up to €200. This means that the player will get 100% on any deposit amount made up to €200. Generally speaking, Match Bonuses are offered to new players who make their very first deposit at an online casino, but it can be applied to returning players as well. Essentially, a Match Bonus is free money – but of course, it’s relying very much on a player’s commitment. A player has to dedicate money to the online casino first and then they might be offered a matching bonus by the online casino. With a Reload Bonus, players get offered a bonus whilst ‘reloading’ their online casino account i.e. depositing more money into their player account. Meaning that this is actually an ongoing bonus. A Reload Bonus rewards players for continuing to use their online real money gaming account and gives the players an opportunity to claim a certain percentage of their initial deposit as a casino bonus. Sometimes, a Reload Bonus goes hand in hand with additional Free Spins that are activated when when the credit of an account gets reloaded. A Reload Bonus can sometimes also be linked to a certain method of payment. Online casinos would obviously like for a player to return to their casino. After a player has registered a player account and used the Welcome Bonus and the Match Bonus, casinos tend to also offer something interesting when a player decides to make a second deposit: The 2nd Deposit Bonus. This bonus comes in many different shapes depending on the online casino such as Free Spins, another (percentage) Match Bonus or extra credit (“free money”) added to the account depending on the amount of the deposit. At this point the player needs to be fully registered with the online casino and wagering requirements of course apply. For a player to qualify for a 3rd Deposit Bonus, the player needs to be willing to actually make a third deposit into the player account. The 3rd Deposit Bonus is pretty much the same type of promotion as the 2nd Deposit Bonus. However, the 3rd Deposit Bonus might sound slightly more attractive, since at this stage, the player has most likely already spend more at the casino and should therefore be rewarded with a more attractive casino bonus. The player should always check the T&C’s, because the 3rd Deposit Bonus might have different requirements than a 2nd Deposit Bonus. A Cashback Bonus is a refund in bonus money, or sometimes even real cash money, that a player will get refunded right back into the player account. Usually a Cashback Bonus is a percentage of a player’s net losses. Since at this point the funds have already been wagered, a player will have nothing to lose when accepting this type of Deposit Bonus. A Cashback Bonus or ‘real money Cash Back reward’ is a popular bonus under real money online casino players. The No deposit Bonus is an offer by the online casino to deposit a small amount of money into the player account after the player registers with the casino. Obviously without any deposit requirement. Typically this is €10, €15 or €25, usually not more than that. The No-deposit Bonus is definitely the easiest bonus category, because the No-Deposit Bonus will be received right after registering a player account. It’s not always automatically credited to the account though. Some online casinos will require a request by email or by submitting a form on their website. Usually, the No-deposit Bonus is a fairly small bonus, however it’s a good way to introduce a player to different games and to give the player an idea of what the online casino has to offer. Free Spins Bonuses are a type of No-deposit Bonus that will give a player the opportunity to try a new casino or a new game without having to make a deposit and not having to risk anything, but to still have a chance to win real money. With a Free Spin Bonus an online casino offers the players a chance to play their favourite slots for free. The Free Spin Bonus will be received as soon as a new player registers an account with the online casino. Any winnings from these free spins will be added to the casino balance for the player to play with. Again, a player won’t be able to simply cashout winnings resulted from a Free Spin Bonus. T&C’s will always apply. What you are primarily interested in is finding out the wagering requirements and the allowed games. These two factors will probably make your decision for you, but whilst browsing through the T&C’s of a casino bonus, there are a couple of other things to look out for. You’ll need to know whether you are actually “eligible” to claim the bonus. How the bonus is credited to your online player account, and whether your location comes with any additional requirements. Also good to find out is if any maximum cashouts apply to the winnings from a bonus. Claiming a bonus: When claiming an online casino bonus, you need to find out whether the bonus is credited automatically or whether it needs to be claimed by you. Some online casinos insist that once you signed up and made your first deposit, you either claim your bonus through a link on the website’s “Promotions” page or you can email the online casino support team to request the bonus. Others simply credit your account with the bonus, though this may not happen immediately, but the T&C’s will tell you. In actual fact, claiming a casino bonus is a far better method for the player (be aware the casino often says that this must be done within 24-72 hours of registering at the casino). Why? Because you can deposit, play your own money and if you win, cashout without any restrictions. If you lose, then you can claim your bonus and have another go with the restrictions attached! With auto-credited bonuses, you are immediately subject to wagering requirements which can interfere with your ability to win. Eligibility: When you check the T&C’s of an online casino bonus, watch out for restrictions or additional requirements for residents of certain countries. These often apply to some countries in the East and players from Denmark, Poland and Israel. Often, the bonus is still available to them but with higher wagering requirements largely due to the amount of “bonus abuse” that comes out of these countries. Wagering requirements: For sure you will be able to find some online casinos that still have some good deals. Most of the casinos however will ask you to wager at least 15 times the total of the deposit and casino bonus before you can withdraw. Combined with the game restrictions, the wagering requirements often make it difficult to win, so be very careful to read the T&C’s and understand these fully before you decide to deposit. Maximum cashouts: A few online casinos, primarily those using RTG software, place a maximum cashout on any money won using the signup bonus. Typically this might be 10 times the amount of the casino bonus awarded, so before you go chasing that progressive jackpot, make sure you know if this rule applies. A similar principle is sometimes attached to promotions.. In general, at reputable casinos anyhow, this rule should be clear in the T&C’s of the casino bonus or promotion, but it’s another reason to make sure you fully understand them before you deposit! Game restrictions: You can pretty much be sure that any game that includes 50/50 bets, or close approximations, will not be allowed when you are counting bets towards a wagering requirement. Consequently games like Roulette, Blackjack, Sic Bo and Craps are almost always disallowed. A lot of online casinos also exclude Video Poker games (or allow them at an increased wagering requirement) largely because these games often offer high expected returns and can be used to the player’s’ advantage in bonus situations. You will also find a lot of bonuses are called “Slots Only” bonuses and consequently can only be wagered on slots which typically have a 90%-95% expected return. If you win with a no deposit bonus, winnings will normally be capped out (limited). So don’t expect much from them. Free spins can have the same result. SUBs will normally prohibit certain games and playing styles. Sometimes they will have wagering limits, (for example: not more than €6 a spin), and always wagering requirements. Reload bonuses can have less draconic terms since you the player are possibly being considered a regular customer – and so as time progresses, you will find yourself getting some better offers than SUBs. The bottom line is that bonuses are not obligatory. You can play without them – but many players like having that extra cash to play around with. Good luck!